Have you decided to start your vlogging journey? Take your activities underwater without a fear of damaging your vlogging gear. After considering 20 models, we think Olympus Tough TG-5 is the best waterproof vlogging camera in 2019 for most aspiring photographers and videographers. It does have its limitations, but with 4k resolution at 30fps, Wi-Fi connectivity, 4x optical zoom, GPS, and compass, you get a fantastic combination of versatility, simplicity, ruggedness and high performance in one tiny device. For an action enthusiast, we recommend the new GoPro Hero6 Black and for people on budget Fujifilm FinePix XP120. Vlogging is a passion that has taken the internet by the storm, and even though this concept has been known for quite some time. The term vlogging is a combination of terms blogging and video. In short, a vlog is a blog that contains video content. Vlog post consists of creating a video of an event or yourself, uploading it to the web, and publishing it within a post on the blog. The term vlog is also used by video streamers who don’t have a blog or website but post updates via platforms like YouTube or Facebook. Therefore, vlogging has become a combination of blogging and streaming, so long as there are self-made. Have you decided to start your vlogging journey? If the answer is YES, we have an entire article dedicated to this topic – Best vlogging cameras. If you already know that you will be more creative or you plan on getting wet while vlogging, than this article, is exactly for you. We created a guide and comparison of the best waterproof vlogging cameras. Now, you can move your activities even underwater without fear of damaging your vlogging gear. This guide explains what makes a camera ideal for vlogging and highlight the best waterproof vlog camera of 2019 in various price ranges. All that to help you find the right camera for your budget. There are some key features to look at while picking a camera for vlogging. Don´t waste your money on fancy features you don´t need. VIDEO AND AUDIO QUALITY – In short, your camera should be capable of recording in Full HD video quality. The standard resolution is 1080p. However, some cameras on the market are able to shoot at 4K too. 4K means a larger size of the video, but it also means better video quality. You should always consider producing high-quality, sharp and clear images if you want success as a vlogger. Audio quality is also very important. You should always check if your built-in microphone can produce at least average audio recording. Or you can spend some extra money on an external shotgun microphone. LOW LIGHT PERFORMANCE – If the camera doesn’t have good performance in low light, it will reduce its frames per second (fps) and it will produce some unwanted noise. Perhaps, you have noticed those noises or grains in the video while recording at night time. Having a vlogging camera with a good low light performance let you capture a video in more low light environments. OPTICAL IMAGE STABILIZATION (OIS) – If your camera doesn´t support OIS, it will result in a shaky image. Having this feature drastically improves the low light performance, and reduces blur as well. Be aware of the digital image stabilization. This is only a marketing trick that will cost you more money and it does not stabilize the image. Look for optical image stabilization or 5-axis image stabilization. 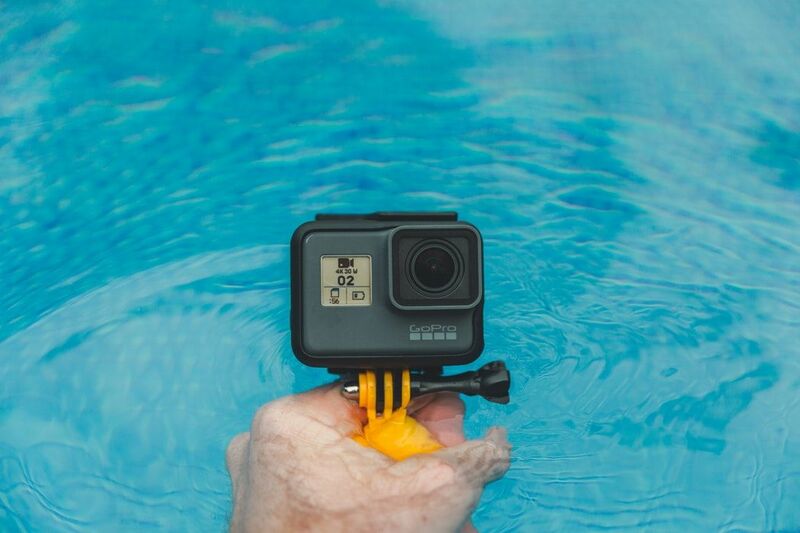 WATERPROOF BODY – Because the topic of this article is… waterproof vlog camera, it´s quite logical that you are looking for a gear you can use in or around water. Be aware of the fact that many companies are declaring their cameras as waterproof, but most of them have just the Ingress Protection rating of IP68. IP68-rated vlog cameras are specially designed to resist occasional water exposure but are not made for water activities. 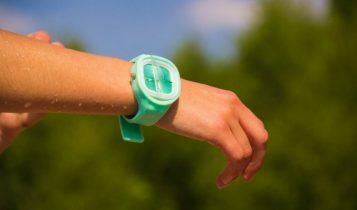 Learn the difference between water-resistant and waterproof devices in our detailed explanation. BATTERY LIFE – Another important factor. It´s a good idea to know how long can your vlog camera withstand before powering down. However, you can always carry an external battery for your device as a backup. Based on the specs, this is without a question the best action camera you can buy. The GoPro Hero6 Black is an excellent successor to the brilliant Hero 5 Black, with a faster processor and ability to shoot smooth 4K video at up to 60fps. Hero6 is lightweight, rugged and waterproof (up to 33ft/10m). What´s more, this model has improved image stabilization, wider dynamic range, slow-motion video function, better low-light performance, and faster transfer speeds. And do you know that all your Hero5 accessories and batteries will be compatible with this new model? Nice. The main downside is the price. 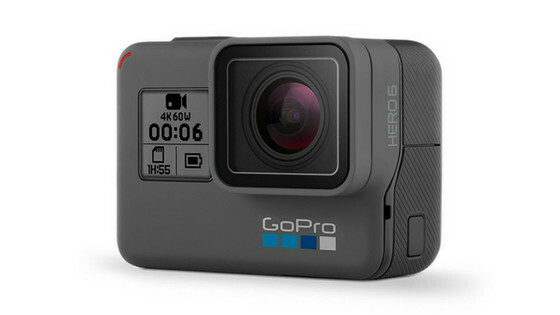 The GoPro Hero6 Black usually costs $100 more than its predecessor, Hero5 Black. The Olympus Tough TG-5 is a nice combination of versatility, simplicity, ruggedness, awesome macro capabilities and high performance. Although it is expensive, this model offers exceptional features that almost every video enthusiast would appreciate, in addition to the ability to capture 4K video at 30fps or high-speed footage at 120p in Full HD. What´s more, the TG-5 is built to survive pretty much anything you could throw at it. That is why the Olympus Tough TG-5 is best all-around waterproof vlog camera on the market. 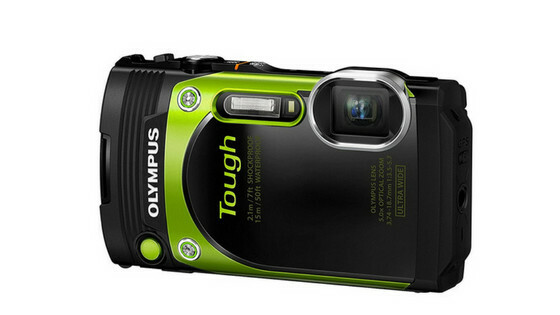 In fact, there isn’t a better rugged waterproof point-and-shoot camera around than the TG-5. 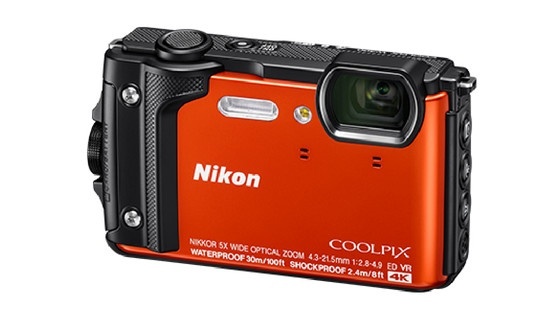 Nikon Coolpix W300 is not only another top-rated point-and-shoot waterproof camera capable capturing 4K video. W300 is waterproof down to 30 meters (100 feet) without the need for an external waterproof case, what is twice as far as the competition. The image quality is good enough for standard use, color and exposure are both above average. The resulting image will truly look good when shared online. 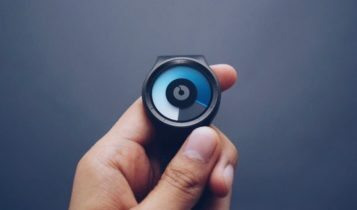 There’s also 4K video, great image stabilization, GPS system, interactive world map, and Wi-Fi connectivity, plus an altimeter and underwater depth gauge to boot. Not enough? The brilliant macro mode is letting you get very close to your desired subject. 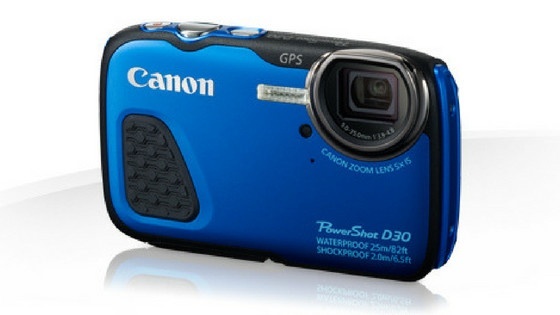 The Canon PowerShot D30 is a durable underwater camera that was designed to withstand the elements. With D30 you can go deep up to 82 feet (25m) underwater and it will still operate for an hour. That´s a fantastic long time for a waterproof camera. What´s more, Canon PowerShot D30 can also withstand dust, dings and cold temperatures. This camera is full of features, including face detection, image stabilization, GPS for image geo-tagging and 1080p video recording. To be honest, those features are a little bit outdated and the missing Wi-Fi functionality isn´t good in the era of social media. 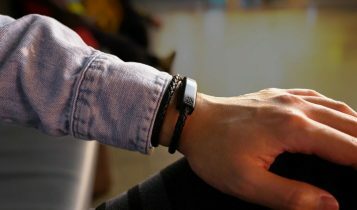 It also lacks a number of standard features such as a higher resolution sensor or advanced GPS. However, the Canon PowerShot D30 is an excellent device to take underwater and oversized controls make the camera extremely easy to operate underwater or while wearing gloves. 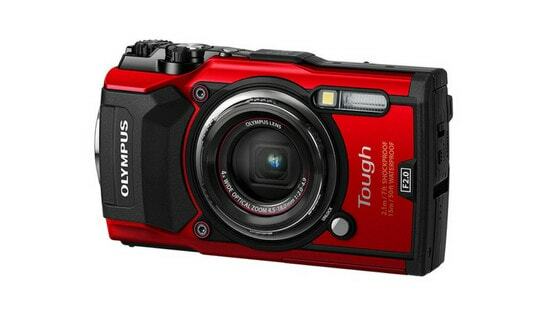 If you want an inexpensive waterproof vlog camera then Olympus Stylus Tough TG 870 should be your first choice. This rugged cam is waterproof to 50 feet (15m), can operate in temperatures as cold as -10℃ (14℉), and it is also dustproof, crushproof and shockproof. The image quality is good enough for taking normal holiday snapshots, sightseeing and even diving down into the deep water. The tilting LCD screen is also brilliant, the speed and performance are sufficient. The TG 870 is one of the cheapest vlogging cameras on our list and thankfully not too many cuts back has been made to keep the price low. Of course, there are some missing features such as manual focusing or manual exposure, there is no built-in Viewfinder or no touchscreen. Despite that, the Olympus TG 870 is interesting waterproof vlogging camera with a flip screen that can withstand water, drops, shocks, and dust… And it takes outstanding underwater photos. There are better underwater cameras on the market, but most of them are twice more expensive. 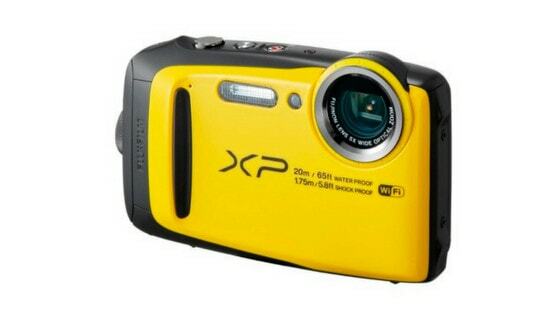 The Fujifilm FinePix XP120 offers a good value for an average photographer who is looking for something light, convenient and small. The attractive rounded edge design and small size make it easy to slip in a pocket or bag. Despite the compact size, it has a 1/2.3-inch sensor with 16.4 effective megapixels. It even has a 5x optical zoom with a 28 mm wide-angle view. But the image quality is good only when shooting in bright light and 5x optical zoom is decent enough for focusing on static subjects, forget about capturing fast moving objects. Honestly, FinePix XP120 is a nice camera for holiday photos. Nothing more. Simple to use, easy to handle underwater – a great option if you need a durable point-and-shoot compact camera for family use. Are you looking for a new camera? Here are the best vlogging cameras on the market. Nowadays, almost anyone can start a vlogging career. But it isn’t just about picking up a camera, shooting videos, editing them and then uploading them on Youtube. The content quality and sound editing play an important part, but let’s not forget that a device on which you are going to be shooting all your videos is an essential factor to take into account. 4K is known as Ultra High Definition (UHD), whilst 1080P is simply labeled High Definition. As their names imply, 4K UHD has a considerably higher resolution than 1080P HD video. 4K resolution is exactly 3840 x 2160 pixels, while 1080P consists of 1920 x 1080 pixels. 4k – When measured in pixels, 4k resolution is actually four times as good as 1080p. Another example. The difference between 720p and 1080p is about twice detail. The main issue with 4k resolution is that the newest cameras capable of shooting with 4K are often much more expensive. Compared to 1080p, 4K will give you greater details in close range. You can shoot in 4K and always downscale your files to 1080p. Less noise in 4K and low light videos are superior in 4K. You get a full experience you need view it on a 4K monitor or 4K TV. Slow editing. The files are also huge. 4K is great for those small details, but the overall image is almost the same as 1080p. 1080p – Over the last few years, the 1080p resolution has become the standard that you will find in most homes nowadays. When you upgrade and go from 720p to 1080p, the difference is much more noticeable to the eye than the jump from 1080p vs 4K. Faster editing. Most computers can handle 1080p files easier than 4K files. 1080p files are smaller than 4K files. You need less space on your memory card. On smaller screens, the difference between 4K and 1080p isn´t almost visible. Isn´t as sharp as 4K resolution. Highlights and shadows aren’t as good as 4K. The camera´s sensor is responsible to receive the light coming through the lens into the camera and turn it into an image. Once the shutter is pressed, they record an image digitally. Digital camera sensors consist of pixels that collect photons which are converted into an electrical charge by the photodiode. People now can buy different cameras with different sizes of sensors, all at the same price point. Of course, each type of sensors have both advantages and disadvantages. However, the larger the sensor is, more light it can project which may produce more high-quality videos. DSLR cameras and point-and-shoot cameras primarily use two types of image sensors: CMOS and CCD. CCD Sensor (Charge Coupled Device) – CCD sensor converts pixel measurements sequentially using circuitry surrounding the sensor. CCDs use a single amplifier for all the pixels. Professional cameras have mostly large sensors and are known as full frame cameras. But don´t panic, you don’t need the biggest one. Even the vlogging cameras for beginners these days have a good quality sensor. What is the best brand for vlogging? This is very subjective. Nikon, Sony, Canon or GoPro are well known and respective brands, but you should always looking for features that suit you, not for the brand. Which is better for vlogging – DSLR or a point-and-shoot? Compact point-and-shoot cameras are just as good as DSLR cameras, but most professional vloggers are using DSLR cameras these days. Buying a waterproof vlog camera isn´t an easy task. A camera is an expensive gadget and you don´t want to make mistake or pay for some fancy features you will never use. Here is a short list of important features as well as ones which don´t really matter. A camera’s sensor indicates the quality of the images it can produce. In short, the larger the sensor, the higher the image quality. Bigger image sensors have bigger pixels, which may lead to better low-light performance, noise reduction, good dynamic range, and the ability to obtain more information. Does a camera come with a battery charger? Almost every camera on the list comes with a package which includes a battery and a charger. Are you able to zoom while recording video? The answer is YES, you are able to zoom while recording. Do you still need a case to submerge into the water? 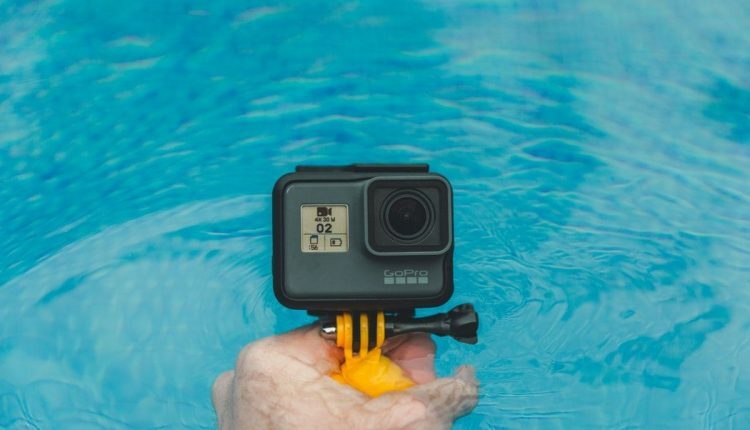 All the cameras in this article are 100% waterproof. There is no need for a special case if you go into the depth for it the camera is tested. We would definitely suggest purchasing a secure strap for a better underwater experience.